Vitamin D is used for preventing and treating rickets, weak bones (osteoporosis), bone pain (osteomalacia), bone loss in people with a condition called hyperparathyroidism, and an inherited disease (osteogenesis imperfecta) in which the bones are especially brittle and easily broken. Vitamin D is essential for strong bones because it helps the body use calcium from the diet. It can be found in small amounts in a few foods, including fatty fish such as herring, mackerel, sardines and tuna. Vitamin D is also found in milk (fortified), cheese, whole eggs, liver, salmon, and fortified margarine. The skin can synthesize vitamin D if exposed to enough sunlight on a regular basis. Research indicates that vitamin D could play a role in the prevention and treatment of a number of different conditions, including type1 and type 2 diabetes, high blood pressure, glucose intolerance, and multiple sclerosis. Recent studies have shown that low level of vitamin D can increase the risk of Breast Cancer. Several previous studies have shown that low serum levels of vitamin D are associated with a higher risk of premenopausal breast cancer. 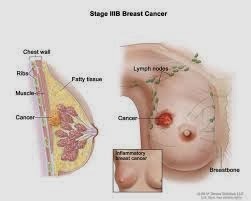 "While the mechanisms by which vitamin D could prevent breast cancer are not fully understood. A recent paper summarized the mechanisms whereby vitamin D reduces the risk of breast cancer in particular including inhibition of invasion, metastasis and tumor angiogenesis, suppression of COX-2 expression, thereby reducing levels and biological activity of proinflammatory prostaglandins. Vitamin D is an essential part of the endocrine system as it controls the growth and differentiation of cells, the synthesis of key enzymes, several of the adrenal hormones and appears to have other direct DNA functions and even be involved in DNA repair. Recent research has shown a completely new and crucial function: Vitamin D is now known to also have a significant effect on nuclear receptor sites, as well as having receptor sites on cell membranes, and increased numbers on cancer cell membranes. But where cancer researchers were really turned on was in the finding that vitamin D can regulate cell differentiation and proliferation and even DNA repair mechanisms. For example, laboratory tests have shown that vitamin D inhibits the growth of the new blood vessels (angiogenesis) needed by tumors in order to satisfy their high metabolism. Cancer cells are undifferentiated - they act like fetal cells, being young and dividing rapidly and, as yet, not differentiated into lung cells, or liver cells or breast cells. Vitamin D can switch these undifferentiated cells over to be normal. In short vitamin, D can adjust almost everything in the cancer cell, from its genetic messaging to its cytoskeleton. It can switch genes on and off, and it can reduce cell division, and it can calm the cancer cells so that they settle rather than spread. It seems vitamin D can actually return a cancer cell to a normal and healthy state. One pathway seems to hold everything. Vitamin D is LIKELY SAFE when took by mouth in recommended quantities. Most people do not usually experience side effects with vitamin D, unless too much is consumed. Some side effects of consuming too much vitamin D include weakness, tiredness, drowsiness, headache, loss of appetite, dry mouth, metallic taste, nausea, vomiting, and others.